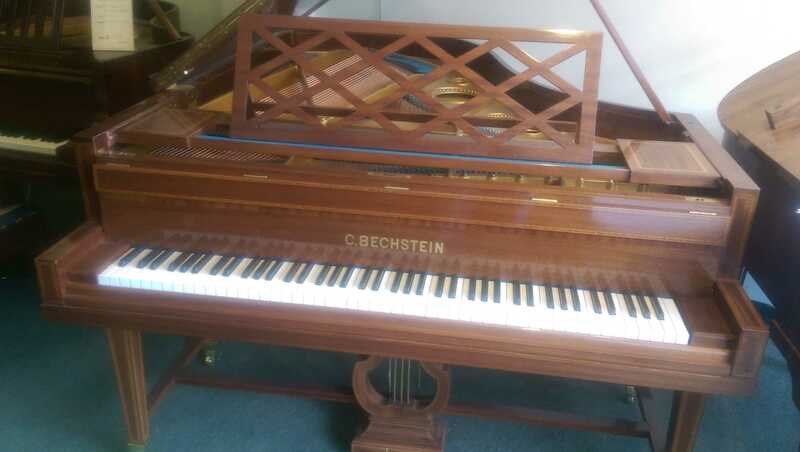 Information: Fully restored Bechstein Grand piano in mahogany with extensive inlays. It measures 6ft 8 inches. 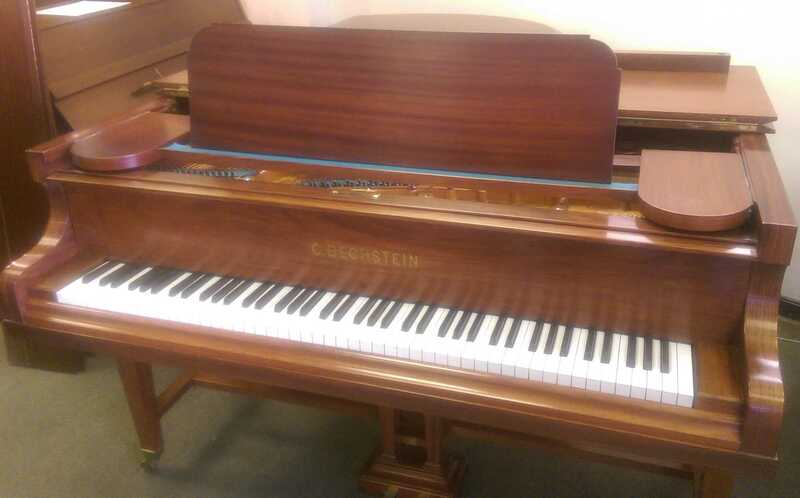 Information: Fully restored c.1904 in a Rosewood satin finish. It features twinned square legs. 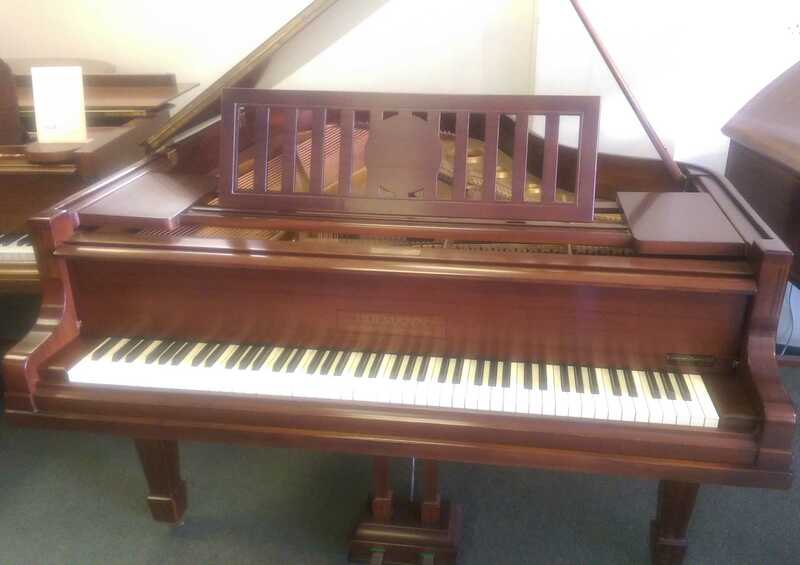 This is an attractive 4’8″ grand piano, in a figured walnut satin case, dating from c.1933, and raised on square tapering legs.